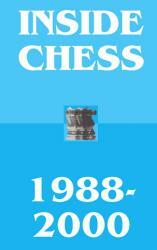 There are many famous and fascinating matches in chess history. This is the strange story about one of them: the match between Akiba Rubinstein and Frank Marshall held in Warsaw, October 25 -November 14, 1908. A match not mentioned anywhere at that time, and even now, after 80 years, one which still remains in shadows.